Lloyds Register of Yachts 1952 has listed "Elcoma" (ex Snarken, ex Idyll III, ex Fandango, ex Danseuse, ex Siva, ex Verano) owner E Marcussen, Oslo. Design Johan Anker, constructed by Anker & Jensen AS 1920. Eyvind Marcussen (1899 - 1976) is registered member of KNS (Royal Norwegian Yachtclub) since 1920. He was one of 12 children. His father shipowner, property owner and industrialist Jens Marcussen (1860 - 1935), Askeröya, married 1885 Karen Margrethe Amalie Marcussen (1863 - 1952). 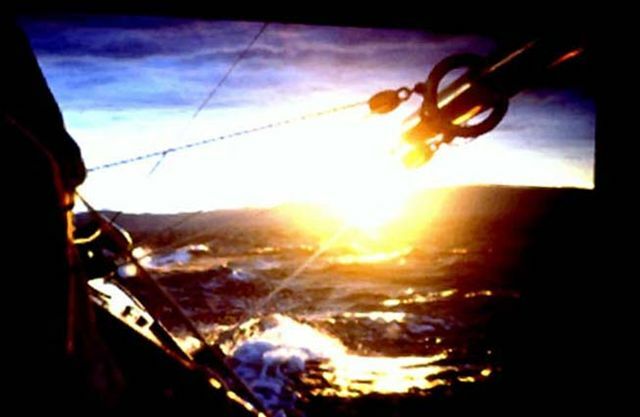 Eyvind was in the 1930-ties among the best yachtsmen in southern Norway. 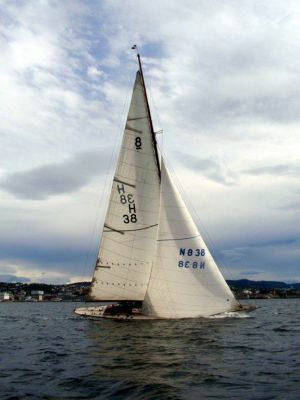 In KNS 50 years anniversary regatta at Hankö 1933, he won 2nd prize in the 25 sqm class with "Sulamit 2". In the late 1890-ties Eyvinds father Jens established together with his brother Elling who was a professional boatbuilder, the company "Brødrene Marcussen AS" (The Marcussen Brothers) for the purpose of ship building at Gjeving, adjacent to the family's residence at Askeröya. Shortly thereafter "KLEMMA" a factory for manufactoring woodden cloth pegs was established. The shipyard at Gjeving became well reputated and was granted licence for manufacturing of Collin Archer designed yachts, fishermanboats for the local market but also in 1908 exports to Russia of 4 vessels. Elling Marcussen had been in America. The yard constructed 5 rescue vessles for NSSR (ref. owner "Danseuse" 1922-23, Dagfinn Paust). The shipbuilding activity decreased after WWI and in mid 1920-ties. A pulp mill was established in Gjeving 1927. Eyvinds father had for long been running the grocery store at Askeröya, which was the basis for administartion of the family's other activities inluding the pulp mill at Gjeving. The family had since the 1880-ties involved themself as shipowners. During WWII the ships was taken over by Nortraship in London and the pulp mill was closed down. After the war activity resumed with Eyvind involved in runnning the pulp mill, which coincides with the period he owned Eight Metre "Elcoma" (1948-1959). During the 1950-ties the industrial activity at Askerøya slowed down, people moved to the main land. The shacks in the shipyard at Gjeving where the rescue vessels had been constructed were empty, and became the home for "Elcoma" standing onshore for unknown how many years before DnV surveyor Odd Östlund fell in love with her visiting Gjeving in summer 1959. Eyvind was among the last of the Marcussen family moving to the main land around 1960. He was a bachelor with no children. In 1966 the grocery store and post office at Askeröya was finally closed. These days the facilities are used for summer resorts. Eyvinds father was interested in politics. He served many years as mayor and was elected to the Parliament representing Venstre. Eyvinds coussin Jens Marcussen ( 1926 - 2007) served as member of the conservative party (Höyre) before he in 1981 was elected representaitive to the Parliament for the Progress Party (Fremskrittspartiet). Jens Marcussen, "Sønner av Askeröy" published 2000, ISBN 82995479-0-3.